Kiefer Ravena, LA Tenorio, Thirdy Ravena and other PBA and UAAP stars are headlining the all-star Blue Legacy Fundraising Auction to benefit the Ateneo High School Sports Scholarships, which supports young student athletes in need of financial help. The online event, launching on May 10, 2018 (Thursday) on the Auctions Manila Facebook page, will put over 30 items from Atenean athlete alumni up for grabs over the coming weeks. All of the proceeds will help more student athletes in need of financial aid get an Atenean education. And while basketball and volleyball players banner the auction, the fund benefits deserving student athletes from all sports, not just those playing televised games. Kiefer’s contribution is a game-worn, signed NLEX Road Warriors jersey—a piece of his PBA rookie year. “I’m keeping a jersey for myself, syempre to remember my pioneer season when I’m older. But since I already have that, naisip kong ibigay ‘yung isa para makatulong,” he adds. According to Blue Legacy organizer Sandy Arespacochaga, all Ateneo alumni currently playing in the PBA have committed to support the project. San Miguel Beermen’s Von Pessumal, Barangay Ginebra’s Japeth Aguilar and LA Tenorio, Phoenix FuelMasters’ Doug Kramer, Meralco Bolts’ Chris Newsome and Nico Salva, and Poy Erram of Blackwater Elite have sent a variety of jerseys, shorts, and shooting shirts. 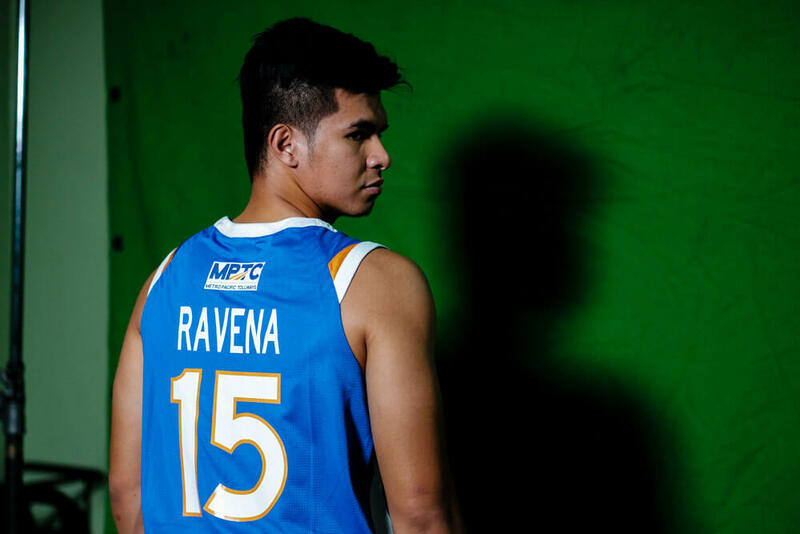 The elder Ravena is one of six former Blue Eagles playing for the Road Warriors: Larry Fonacier, Emman Monfort, Fonzo Gotladera, Juami Tiongson and Rabeh Al-Hussaini. Each have added their own signed jerseys to the mix. The NLEX Road Warriors’ memorabilia, including Ravena’s, will be the first items up for auction on Tuesday. At the collegiate level, Thirdy Ravena will donate a signed pair of “one of [his] favorite] sneakers.” Matt and Mike Nieto have also given signed jerseys worn during the UAAP Season 80 Finals, while Isaac Go, Aaron Black, Tyler Tio and Anton Asistio are giving a mix of jerseys and brand new shoes. Apart from basketball, bidders can expect items from the Ateneo Lady Eagles’ Season 80 women’s volleyball starting six, Alyssa Valdez, Jia Morado, Denden Lazaro, Gretchen Ho, Rex Intal, five-time men’s volleyball MVP Marck Espejo and footballer Jarvey Gayoso.